The strategic location of Delhi offers numerous weekend getaway opportunities in the Himalayas and Delhites never miss an opportunity to pack bag their bags and rush to hills for a breath of fresh air. Excellent road connectivity makes the journey to most of the mountain getaways a lot easier as majority of them can be reached the same day. Known as the ‘Queen of Hills’, Mussoorie is one of the nearest hill stations from Delhi conveniently located at a short distance of just 280 km from the capital. It is frequented by families and honeymooners who come here in large numbers to make the most of their weekend. Mussoorie offers a host of luxury and budget hotels and resorts where you can unwind yourself away from the crowded and polluted cities. The Mall at Mussoorie is a big attraction with the visitors as it has many restaurants and shops where you can enjoy a good meal and do shopping. The Tibetan flea market in Mussoorie is very popular with the tourists where you can buy wide variety of woolens and sportswear at throwaway prices. 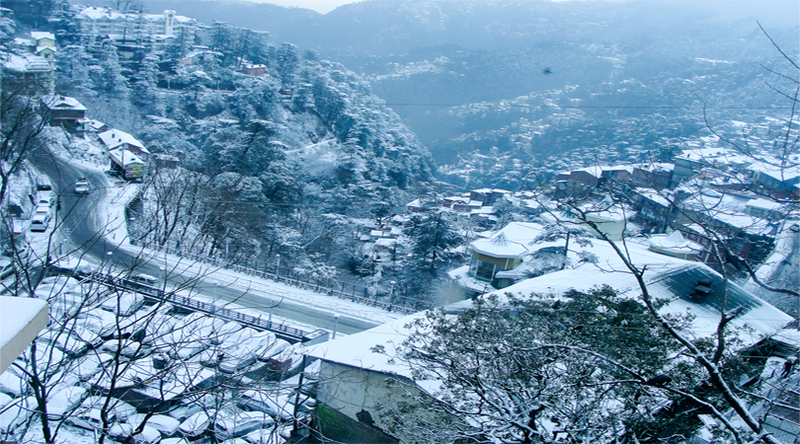 Mussoorie is a year round destination. 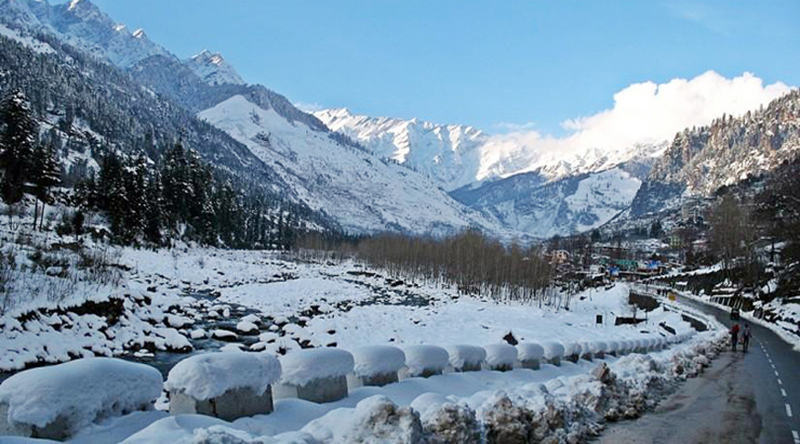 12 Best Winter Holiday Destinations In India. Nainital is one of the most popular hills stations of Kumaon located at a distance of 290 km from Delhi. An eight hour drive from Delhi gets you in the tranquil surroundings of Nainital where you can spend your weekend with family and friends. Surrounded by lakes, Nainital is a preferred getaway to connect with the nature and relax amidst lush green surroundings. Enjoy a boat ride in Naini Lake, Bhimtal, Sattal and Naukuchiyatal and go for nature walks in the foothills around. 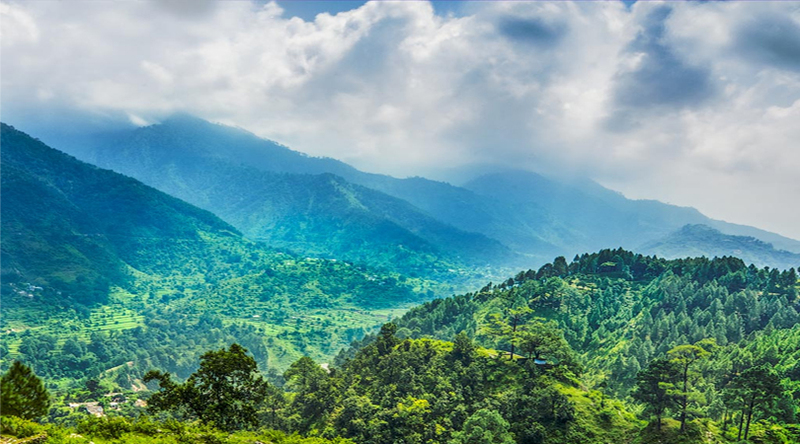 Drive down to Ramgarh, Mukteshwar and Ranikhet which are in the vicinity to admire the natural beauty of the region and to capture the magnificent views of the majestic Himalayas. 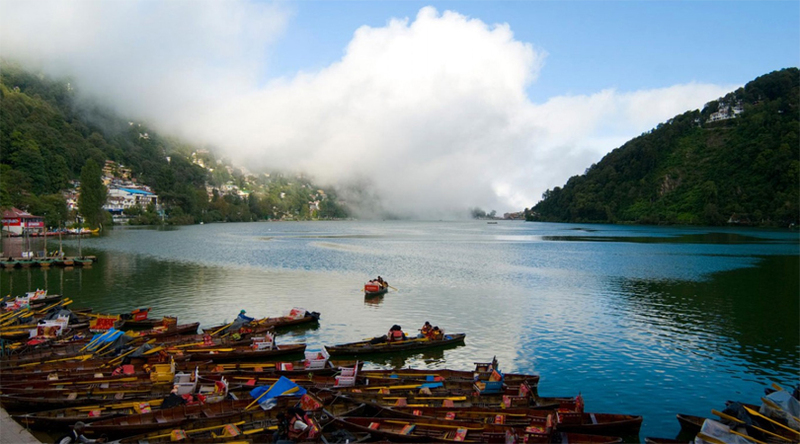 Nainital offers a host of luxury as well as budget hotels for a comfortable stay. Top Seven Places You Must Visit in Nainital. A quaint hill station in the lap of Himalayas, Landsdowne is situated just at a distance of 250 km from Delhi which can be covered in five hours if you start early morning and avoid the daytime rush. Lansdowne was established as a cantonment during British rule in India and still serves as an important base for Garhwal Rifles of Indian Army. Surrounded with oak and pine forests, the tiny mountain getaway of Lansdowne is a peaceful sojourn for weekenders who can easily drive down to the place as it well connected with motorable roads. As you go for nature walks around Lansdowne you get to see beautiful churches built during the colonial rule which makes you feel being in English countryside. There is an urgent need to develop quality resorts and hotels in Lansdowne as there is a shortage of quality accommodation which deters the travelers to visit this pristine hill station. Situated at a distance of 305 km from Delhi, Kasauli is a preferred weekend getaway for Delhites due to its proximity and excellent road connectivity. A short drive of six hours gets you to this quaint hill station which is also a cantonment of Indian Air Force. 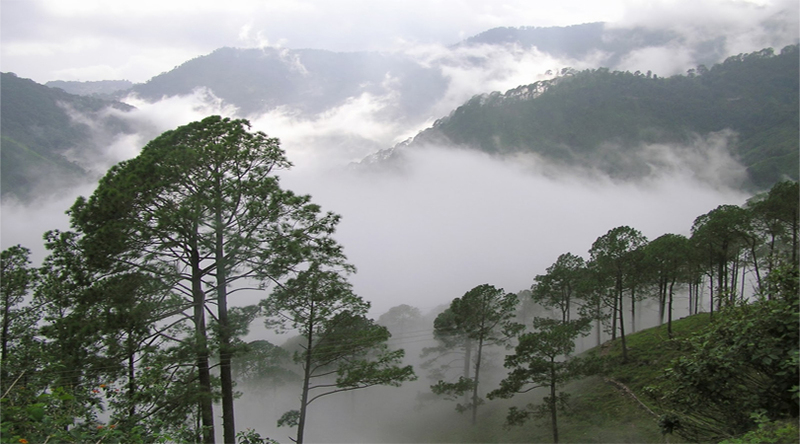 Kasauli and its tranquil surroundings offer an opportunity to enjoy the isolation of hills away from the noisy cities of North India. Almost every weekend in Kasauli is filled with visitors from nearby cities of Delhi and Punjab making it a party destination of the region. Kasauli has a host of resorts, hotels and cottages that offer decent accommodation and it is advisable to book them in advance to avoid any disappointments on reaching there. 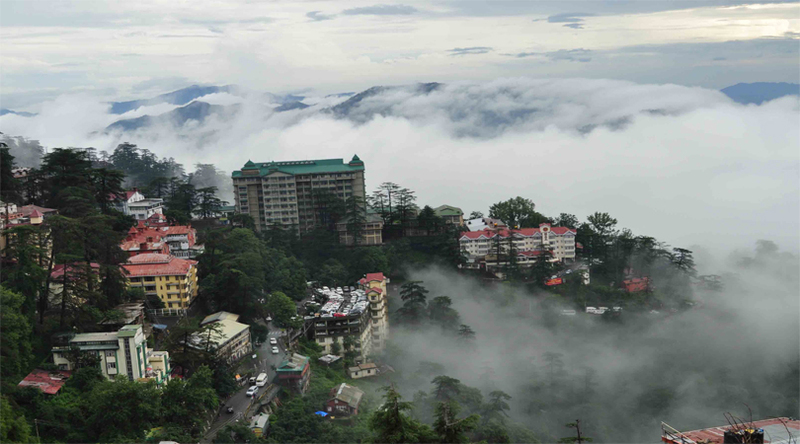 Shimla the capital of Himachal Pradesh is situated at a distance of 360 km from Delhi and attracts a large number of visitors from Delhi and cities of Punjab during weekends. If you are looking forward to enjoy a fun-filled weekend with your family and friends then drive down to Shimla which has a lot to offer in terms of peace and beautiful surroundings. The smooth drive to Shimla offers fascinating views of the pine covered hills en route and as you reach the top you cannot stop admiring the charm of The Shimla Mall which has an old Christchurch and a bustling market with restaurants and shops where you can spend hours. 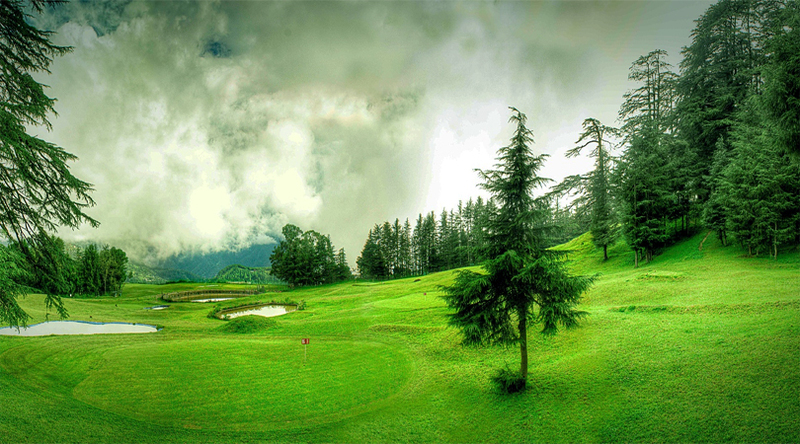 Shimla offers a wide variety of hotels and cottages which you must book in advance as they are full during weekends. The summer capital of British rulers, Shimla has many buildings of the colonial era which are heritage monuments and are open to public. Situated 371 km from Delhi and 12 km from Shimla, Mashobra has come up as a popular weekend sojourn for travelers from Delhi and North India. The peaceful ambiance and pleasant surroundings of Mashobra makes your trip to this tiny hill resort a memorable experience. While in Mashobra, admire the flora and fauna of the region during nature walks and detoxify yourself in the pristine environment of the region. Mashobra has quite a few resorts and cottages which offer quality accommodation at reasonable rates. So book your weekend in this quaint little town and forget the worldly worries for few days. Situated 385 km from Delhi and 22 km from Shimla, Naldehra is another easily accessible weekend getaway for Delhites. The thickly forested green landscape of Naldehra and its pleasant climate attracts visitors in large numbers all the year round. Naldhera has one of the oldest and highest 09 hole golf course in India where professional and amateur golfers from all over the country come to play the sport amidst beautiful surroundings. 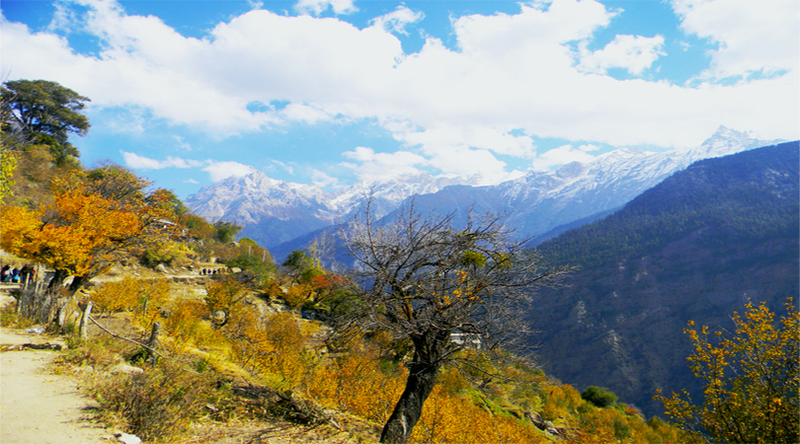 The route from Shimla to Naldehra offers scenic views of the pine valleys and the Himalayan ranges. Naldehra is an ideal retreat for nature lovers who can enjoy the serenity and calm of the region and unwind themselves in the soothing ambiance of this tiny hamlet. Naldehra has limited number of resorts and cottages so it is advisable to book your accommodation in advance.